Located at Island Bowl, the Billiards Room is equipped with 2 billiards tables and a 9-feet pool table. The Bowling and Billiards organises friendly competitions and championships for members. Junior Members can always look forward to cue Sports Clinics usually held during the school holidays! 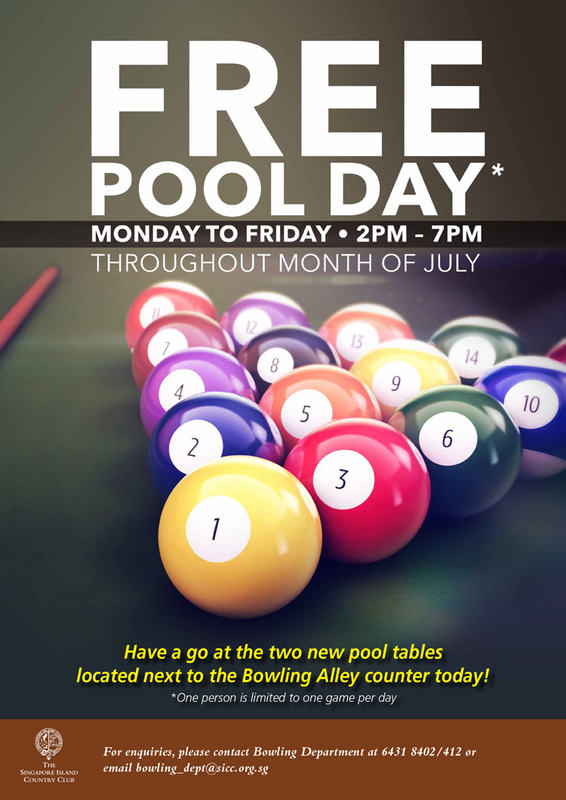 For more information, please call the Billiards Room at 6431 8393 or email us at bowling_dept@sicc.org.sg. Please note that all equipment in the Billiards Room belongs to the Club.